You are here: Home / News / Business / Brownells 2012 Gunsmith Career Fair: Does Rifling Really Make Demons Fly Off The Bullets? 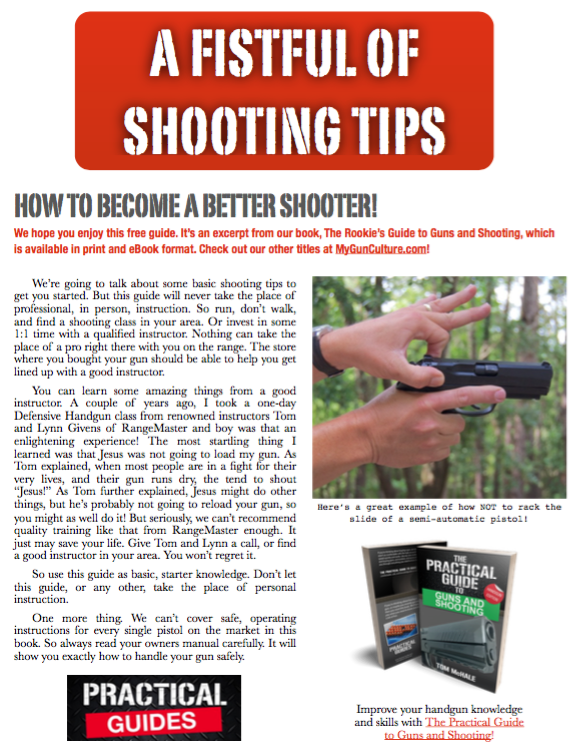 Brownells hosts the annual event to help match prospective gunsmiths and employers and to provide cutting-edge educational seminars to the gunsmith community. Dozens of big name gun, reloading, tools, and accessory companies all gathered at the Des Moines Marriott Friday and Saturday, almost certainly sending local Department of Homeland Security staffers into apoplectic shock. Fortunately, no hospitalizations have been reported. Among others, representatives from Hornady, STI International, FNH, Caesar Guerini, Les Baer Custom, DSA, Berry’s Manufacturing, Cylinder and Slide, Lauer Custom Weaponry, Forster Products, and Barrett exhibited at the event. And generous giveaways were abundant. Paul and Sharon Dressel put together a mountainous prize pack from their suppliers and their own stocks of premium gun stock blanks, Krieger Barrels brought over a dozen barrels, and Hawkeye gave away a $2,000 video Borescope system to one lucky gunsmith – just to name a few of the donations. According to Larry, three major themes emerged during the event. First, nearly everyone was looking for CNC talent. That’s Computer Numerical Control. Sort of like HAL 9000 for guns. It’s a fancy way of defining the combination of computer aided design and computer aided manufacturing that allows gun makers to automatically link design and milling processes. Second, companies are hiring gunsmiths in record numbers. Some of the participating companies were looking for hire a dozen or more gunsmiths – each – and that’s a great indicator of the continued health of the industry. Last, the professionalism of the students continues to increase with each passing year. More and more people are getting into gunsmithing as a vocation and the serious commitment shows. Another great sign for the shooting industry. 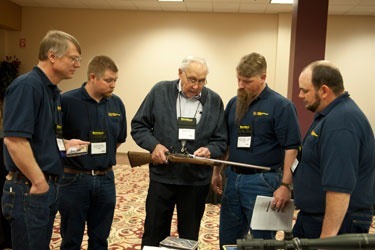 As an example of the type of content featured at the event, the folks from Hawkeye Precision Borescopes put on a session showing students how Borescope technology, integrated with personal computers, allows today’s gunsmiths to create a customer ready video showing the interior of their rifle barrels. What a great way to sell barrel conditioning or replacement services. Please use these devices for gun barrel analysis only, no medical procedures allowed! Oh, and Hawkeye generously donated a $2,000 video Borescope setup. Sometimes it’s nice to be a gunsmith. If you are interested to learn more about the annual Gunsmith Fair, check out the site.